South of Oneonta, New York the Delaware & Hudson mainline splits at Nineveh Junction, with one leg tunneling through Belden Hill and terminating at Binghamton, New York and the other leg continuing on to Scranton, Pennsylvania (this is the oft-photographed line that passes below the Erie's Starucca Viaduct). 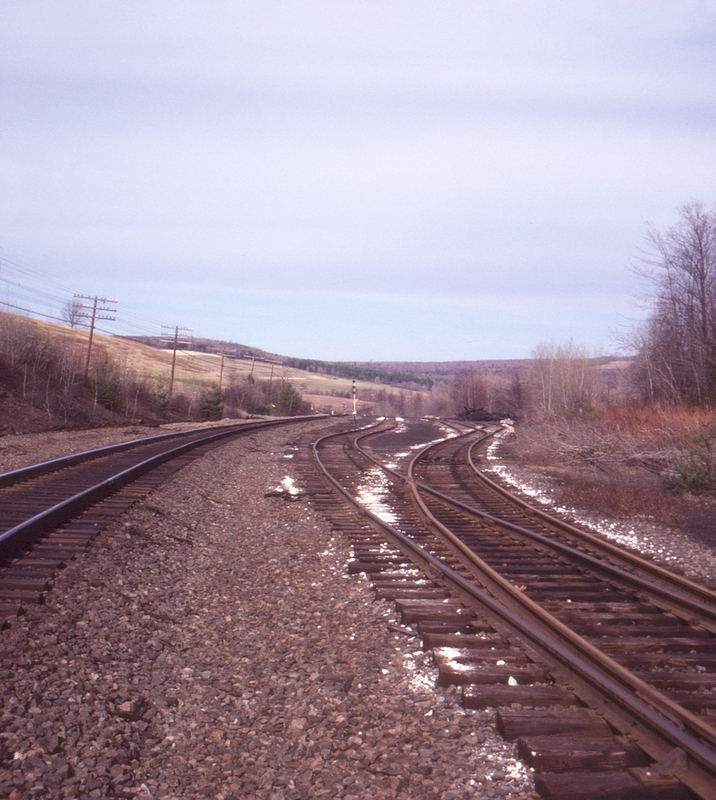 Ninevah Junction itself, located a few miles northeast of the little town of Ninevah, New York (best known as the home of Johnny Hart of BC and Wizard of ID fame), remains active today although the line to Scranton has been long abandoned. This view is looking northeast along the Binghamton leg towards the junction. This page posted 3/1/2018. Text and photo ©2018 Lamont Downs.